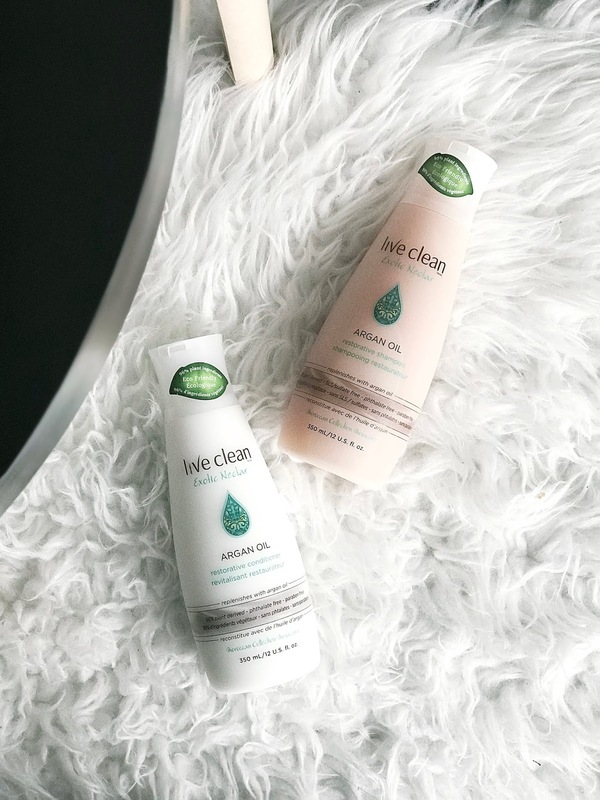 By now you guys should know how much I love Live Clean products. I've been using their shampoos and conditioners from before I even started this blog and continue to use their products now.My favourite scent from their line is the Exotic Nectar Argan Oil scent, although they have a plethora of scents to choose from too. 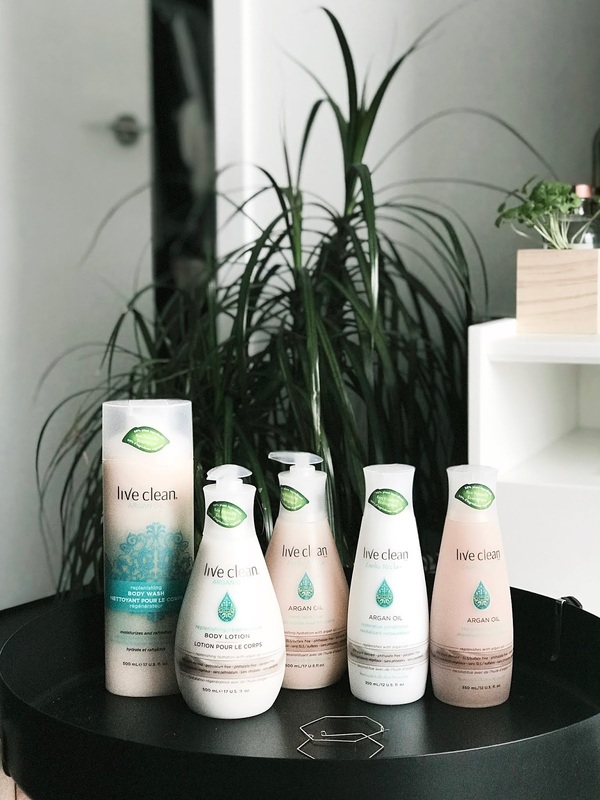 Since it is officially fall now and the weather is getting colder, I wanted to share some of the Live Clean products I swear by for keeping moisturized. There is also a pretty awesome giveaway at the bottom of this post so make sure you read all the way through! 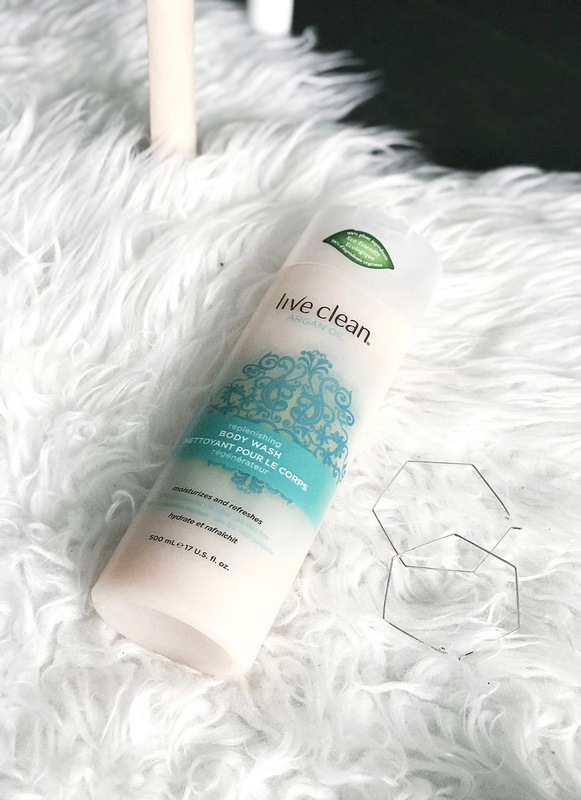 The very first products I used from Live Clean were their shampoos and conditioners. I'm also 99% sure the first scent I ever tried from them was the Argan Oil scent. Argan Oil has a rich concentration of Vitamin E and other antioxidants. I love this shampoo and conditioner duo because it smells amazing, makes my hair shiny and protects it from colouring and sun damage. The olive oil and grape seed oils it contains also help to regenerate and restructure my damaged ends. 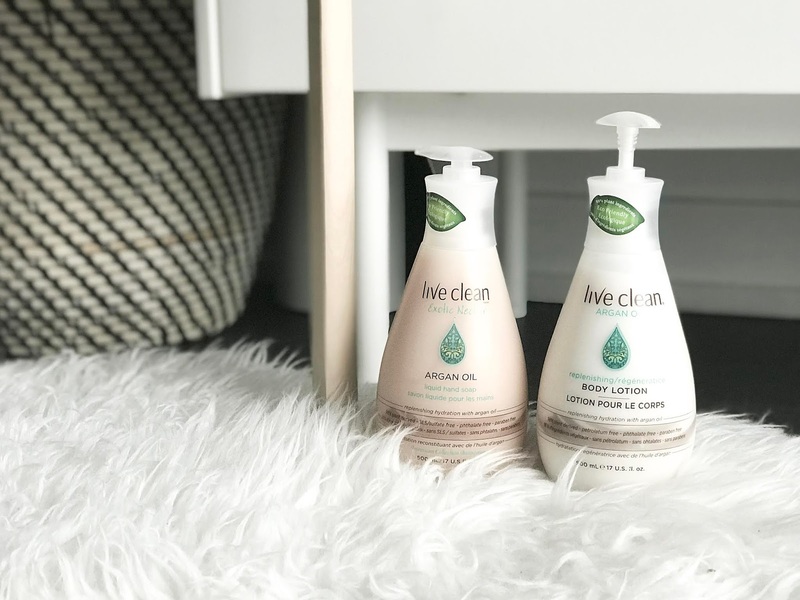 Next up on the list of products I love from Live Clean are their hand soaps. They're really gentle all the while nourishing for my hands, and they seem to last forever too! In conjunction with the hand soaps, I like to use the Exotic Nectar Argan Oil Replenishing Body Lotion. It's very lightweight but feels hydrating and soaks into my skin very well, leaving no oily residue whatsoever. Lastly I wanted to give a big shout out to Live Clean's Body Washes! I don't know how many bottles of body wash I have gone through, but these are definitely my go-to when it comes body washes. I've tried half of the scents from what's available but Argan Oil is definitely my favourite so far. They lather up really well and don't leave my skin with that weird film that I find some body washes do. I also love to add a squeeze of their body washes into my bath water for a bubble bath from time to time. One winner will win all five products featured in this blog post. They will choose one scent from the following: Exotic Nectar Argan Oil, Coconut Milk, or Fresh Water. I like them all.... but I will go outside the box and say Argan Oil! The Exotic Nectar Argan Oil scent sounds fantastic! I would love to try it! I would like to try the Coconut milk scent. I think the Exotic Nectar Argan Oil scent would be sensational and exquisite. I like coconut milk scent. I would love to win the Argan Oil scent. Thanks for the chance. I love to win the coconut milk scent. The argan oil scent sounds delish! love to win the coconut milk scent. I think the Hector scent would be refreshing! the coconut milk would be great! I'd like to win the Exotic Nectar Argan Oil scent. I'd like to win the coconut milk scent. Exotic Nectar Argan Oil scent.